Departure for Pergamum. Whose main function was social and cultural as much as it was sacred. Built on a conical hill rising 1,000 feet above the surrounding valley, Pergamum (also spelled Pergamon was an important capital city in ancient times. 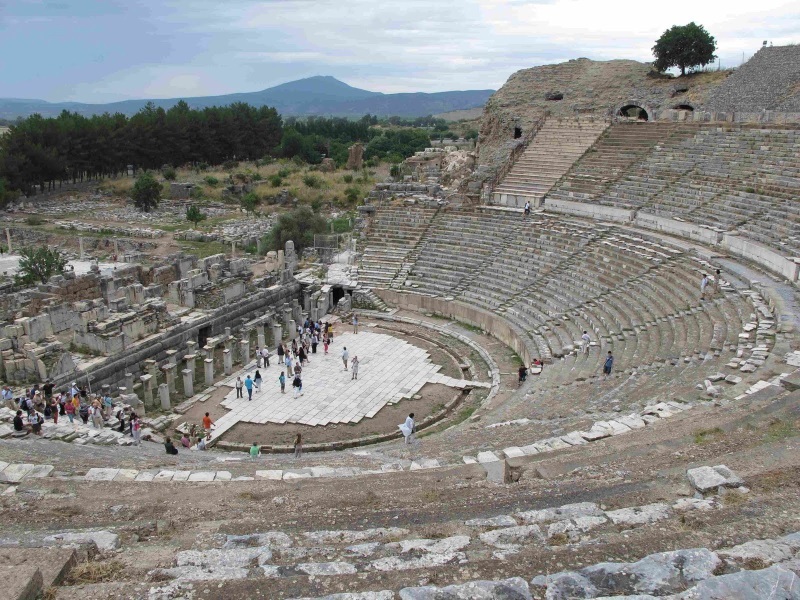 Pergamum is home to two of the country's most celebrated archaeological sites: Pergamum's acropolis and Asclepion are both listed among the top 100 historical sites on the Mediterranean. Most of the buildings and monuments in Pergamum date to the time of Eumenes II (197-159 BC), including the famed library, the terrace of the spectacularly sited hillside theater, the main palace, the Altar of Zeus, and the propylaeum of the Temple of Athena. In the early Christian era, Pergamum's church was a major center of Christianity and was one of the Seven Churches of Revelation. Asclepion, Galen born & Aducated in Pergamum, was the authority of European medicine from the 2nd century until renaissance. He was the founder of the health principles of diet, relaxation, exercise. Visit the ancient hospital & health center where he worked.